Just In Time was a proud sponsor of the WI-APDA Parkinson's 1/2 Marathon and 5k for the second year in a row on April 18. Many of our employees and family members participated in the 5k and had a great time. First time clients get a FREE service call ($75 value) when they mention our website. Just In Time is an authorized dealer and distributor for trusted brands, including American Standard, NuTone, Manitowoc, Master-Bilt, Scotsman, True and many more. 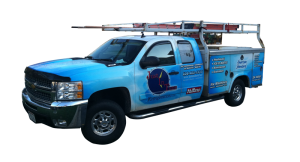 Just In Time provides sales, installation and service of commercial air conditioning, walk-in coolers and freezers, reach-in coolers and freezers, ice machines, fryers, ovens and char broilers. What Sets Just In Time Apart? Just In Time has over 20 years experience taking care of commercial clients. In addition, our rapid response time and preventive maintenance programs give commercial clients the reliability and value they need. Just in Time Refrigeration has over 20 years of experience servicing commercial clients ranging from corporate restaurant chains and retailers to healthcare facilities, schools and universities, theaters, laboratories, churches and more. Complete our service request form and we'll contact you.